The Immersive Era of storytelling uses VR/MR combined with Artificial Intelligence and haptics to more deeply immerse viewers into story. Multi-sensory immersion is a perfect path for the natural story every outdoor, conservation and hunting adventure provide. As an impressionable kid growing up in Seattle with limited access to the outdoors until my final years in high school, my Uncle’s stories fed my growing appetite for being outside. 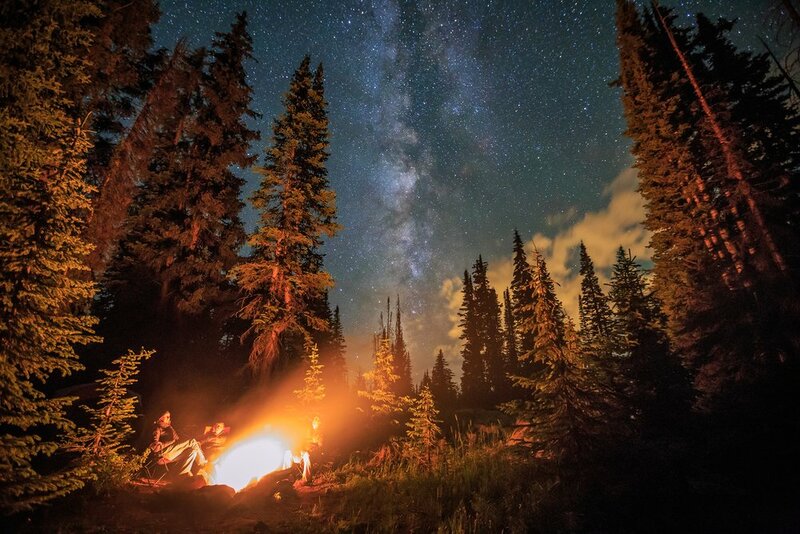 His stories after family holiday dinners or around a campfire became a portal for my dreams increasingly filled with exploration and adventure I craved to experience for myself one day. He was an avid outdoorsman; hiker, climber, a member of the Mountaineers, high school teacher, and dive instructor. Each spoken word in a story of his was a brush stroke dripping with vivid color, emotions or adventure, bringing to life a story on a canvas only he could paint. I wish I could tell stories like him. We all tell stories. Some stories are shared by heroes we admire while others we adopt, make our own, and retell. Stories help us believe in something bigger or take us back to a different place in time. There are plenty of great storytellers, for me in the outdoor/conservation space, Jim Shockey tops my list. Jim Shockey is a storytelling legend with a well-earned Gandalf-like status to hunting & conservation communities. It’s part voice, tone and the balance his Uncharted cable production series strikes between culture, education, people – and the hunt itself. Importantly, his brand voice is authentic and unique. This is why people watch, he makes us believe we are on the journey with him and he’s welcoming us to come along. There are plenty of others too. Outdoor programming, independent projects, and even branded content have come a long way in the past half dozen years. The art of telling a story has made impressive strides at a cool time where the intersection of technical tools, motion graphics and camera advancements into 4K (now 8K) create higher production value than ever before. The Full Draw crew seemingly burst onto the scene a few years ago because of their unique way of revealing the story. 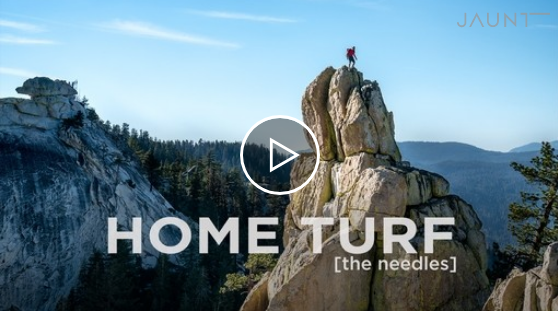 Fantastic cinematic footage with strong editorial and post seemed to wake up the outdoor industry from a deep hibernation of creating the same general flavor of content, shot and told the same way. Thank you Full Draw! With so much content being created nowadays, ask yourself honestly – how is your branded content or storytelling method uniquely different than others? If your answer isn’t a solid one, chances are visual storytelling platforms like Instagram Periscope, Snapchat, and Vine are not doing as much as you think to meaningfully engage your followers could easily be causing attrition. Channel engagement should be a primary focus, not simply user acquisition (UA). It’s been exciting to see a few outdoor brands experiment with the logistics of doing live-simulcast events in the middle of a wilderness through the Periscope or Facebook platforms and even a few pull it off. As more people experiment with this technique, we’ll have to see if the live events pull us further away from the story and simply into social interaction. Or, will the best stories and storytellers live on and survive? I dusted off an old WB Games keynote deck from my last agency, where we dug into the history of story, its evolution, and the impact it has on our lives w/ some of our research coming from Jonah Sachs, the author of Story Wars. 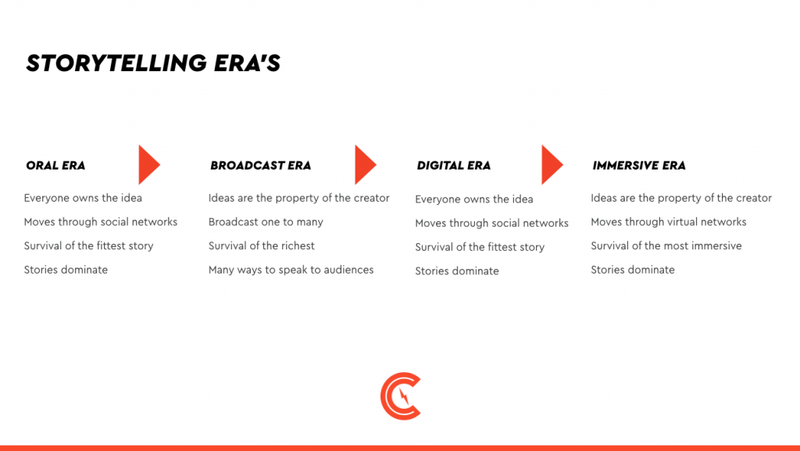 The slide below illustrates the attributes of the Oral, Broadcast and Digital Era outlined in Jonah’s book I’ve added to include the next evolution of story. The Immersive Era invites each person to become the Hero of the Story in a believable way through integrated sensory immersion like haptics that stimulates our senses, fools us, and injects personalized story variation through AI. 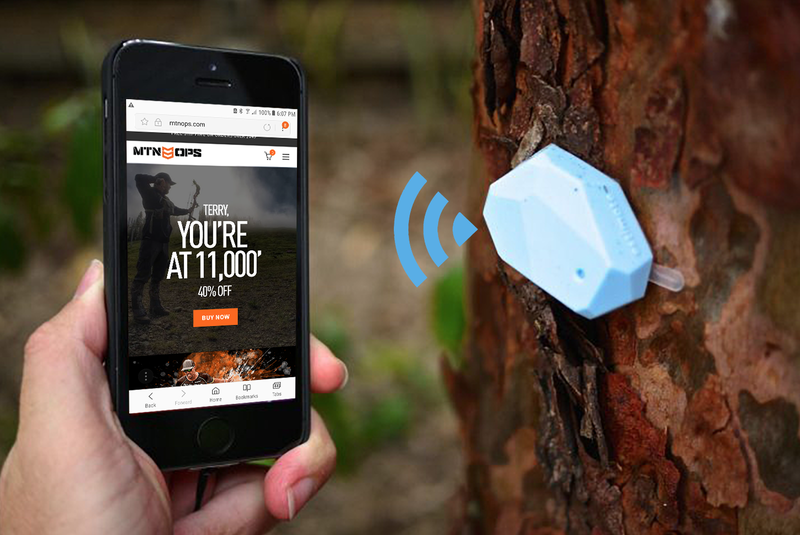 The integrated combination of visual, touch, smell sensory technologies with artificial intelligence bodes well for all the Gandolf-like storytellers not to mention, the rest of us who crave story tied to the journey’s we all take each time we venture outside for a hike, hunt, camping, backpacking or fishing trip. The Immersive Era not only has storytellers, educators, video game developers jumping for joy around the globe but outdoor enthusiasts, outdoor programming and film creators should be too. Watch the Call of Duty trailer and imagine feeling rocks, dirt, and maybe a frag bullet hit you. Maybe in the experience, the haptics increases your body temperature so you’re sweating -profusely because after all, the temperature in the game is 93 degrees not to mention, you’re loaded up w/ combat gear and surrounded by explosions, remember? You smell black powder, burnt metal, gasoline, and death as your exo-suit + equipment harness feels like it’s getting heavier. You are the hero of the story and you feel the sense of touch, temperature, and consequence in a believable way. This is the Immersive Era in a nutshell – smart integration of touch, vision, smell mixed with the belief of consequence and story. There are a handful of companies focusing on the sense of touch (haptics) within VR/MR/XR experiences. Haptics is one more critical component to creating an experience that injects a dose of reality through immersion. One of the leaders in this space is HaptX. Their technology is fricken’ incredible and a game-changer. 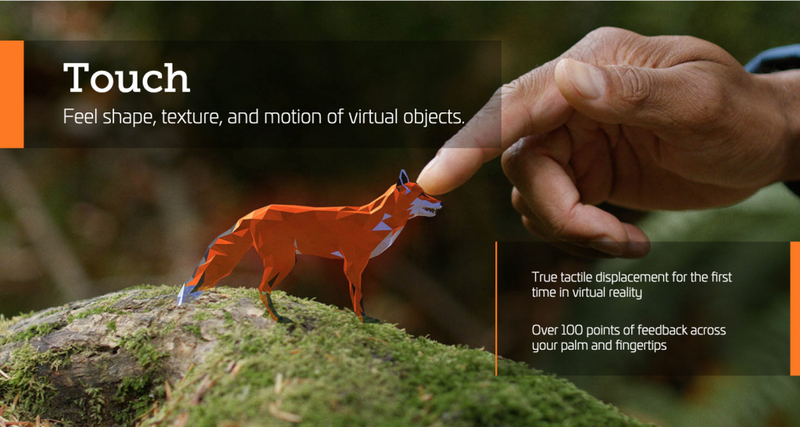 HaptX allows you to sense touch, force, or temperature of virtual objects. The picture below is a screen cap from their website and not marketing smoke. I plan on integrating their product into CRRNT’s Siren and Gyre products and encourage you to follow them and others in the space. The made-up Jim Shockey VR experience below integrates haptics to emulate touch and other sensory aspects of immersion to deepen the story. The biggest difference between The Immersive Era and The Digital Era is participatory in nature. All stories in The Digital Era no matter how compelling, are limited by being passive participants in the story. Meaning, the story is linear. Once a video production is shot and in the can, the outcome is set. It does not change based on environmental influences, deviations to the story or an unscripted twist in the plot the next time you watch the same video. However, leveraging artificial intelligence and machine learning within immersion, the story can evolve. It can grow and learn with you each time you participate. 360-VIDEO STILL HAS A PLACE AT THE TABLE, FOR NOW. One of the tools I’m surprised not to see used more frequently in hunting and outdoor video productions or outdoor film shorts is 360-video. For the record, I don’t consider 360-video, virtual reality but it should have a place in your video marketing mix to more deeply engaging viewers into your story. The last few years have seen a number of camera and software solutions enter the market making the seam stitching incredibly easy, or in some cases, automated. 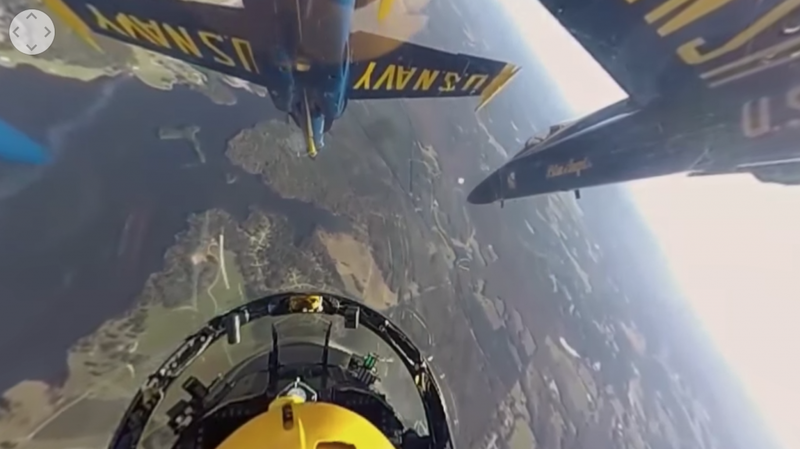 For example, a good use of 360-video is this one – placing viewers in the backseat of an FA-18 Blue Angles Super Hornet with more realism and fidelity than any video game or monoscopic video. Using a viewer like Google Cardboard, the entire cockpit and surrounding airspace can be seen with incredible fidelity and realistic sounds. You get a sense of the close proximity other aircraft. If you’re on other devices, you can use your finger or mouse. The obvious limits of 360-video are you can’t uniquely interact with objects nor them with you. You’re unable to feel “G-Forces” pulling against you like in high-speed turn, unable to turn a dial, feel the temperature difference at 35,000 feet or grab the joystick and fly The Blue Angles FA-18. Contrast the same Blue Angles experience for a 360-video platform with one created for HTC Vive integrated w/ Immersion technologies like Haptics and AI. Depending on the design, you’d feel pressure (G-forces), feel temperature shifts, turn dials and yes, even grab the joystick and fly it with incredible realism. Flight schools will be using VR/MR in their training mix as these integrated immersion technologies mature but that’s a different post. Another few good 360-video experiences are The Invisible Man 360-video Short Film or the Jaunt (screen cap below). 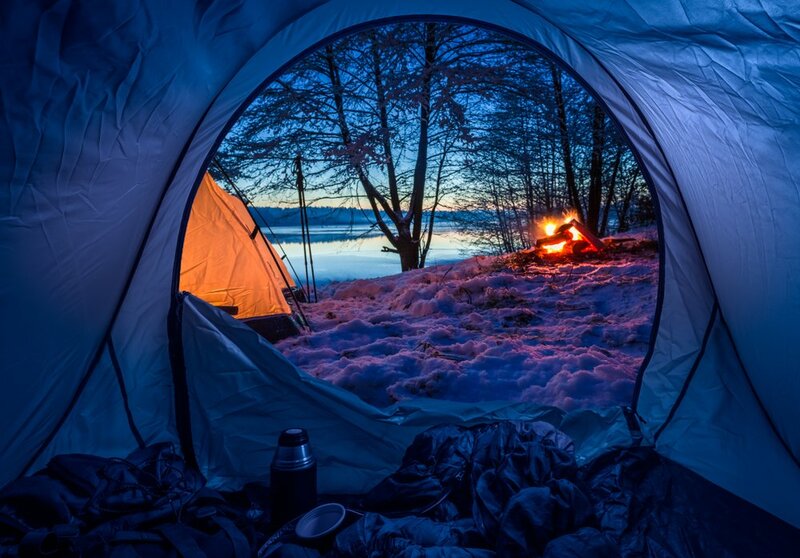 Outside Magazine highlighted Jaunt in a cool story last year about how virtual reality content will benefit outdoor storytelling. Here’s where a story in the Immersive Era gets supercharged through amplifying believability through the mix of sensory, emerging technologies and AI. A made up HTC Vive experience (Jim – I’d LOVE to build this for you), might be designed around an episode of Uncharted where Jim is visiting a remote hunting camp nestled a gorgeous, damp, muddy rainforest. The Immersive Era puts you in the camp with Jim experiencing all the adventure has to offer almost as if you were really there. You might imagine as the Uncharted VR experience loads, you hear birds singing in the distance mimicking the jungle waking up early in the morning or after a heavy rain. Speaking of rain, through haptics, you begin feeling the depression of intermittent raindrops combine with the moist sensation like you’re getting wet. The VR experience loads the rain slows and you look up to see the forest canopy explode with incredible color and fidelity nearly engulfing a simple blue-tarped makeshift shelter about 25 yards away. This is not any old 3D constructed village detached from reality but the exact village Jim visited on Uncharted. By integrating with Google Earth, advanced camera technology, and 3D, the VR experience reflects the same roads, water systems, and village buildings. You hear people talking in the distance with from the direction of the blue tent with voices you can’t quite make out. 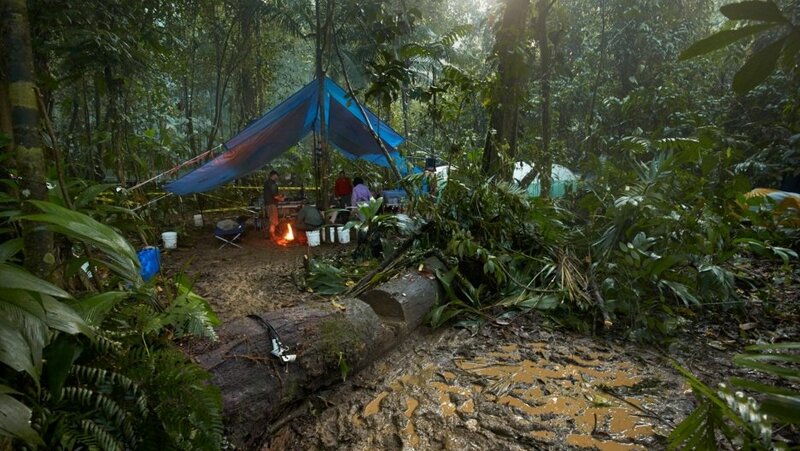 As you begin walking towards the blue-tarped shelter in our made-up Jim Shockey VR experience, you catch a whiff of the rich smells the surrounding rainforest serves up. Maybe smoke from a nearby campfire, the nearly overwhelming sweet smell of flora from the nearby village flower patch or maybe the pungent fertile swampy mud you’re standing in. You feel the depression of a tap-tap-tap on your shoulder but you distinctly notice it feels different than the raindrops. From behind you a familiar voice politely ask, “Are you all set and ready to go?”. You spin around – Holy crap, it’s a virtual Jim Shockey!! Through the integration of AI, the more you interact with him, the more personal and variable the story becomes – sorta like Amazon Alexa or Google Home. The Immersive Era brings together sight, sound, touch, and smell in an incredibly compelling and believable way to evolve stories dynamically – and personally. Welcome to the new era in story. Welcome to the Immersive Era.